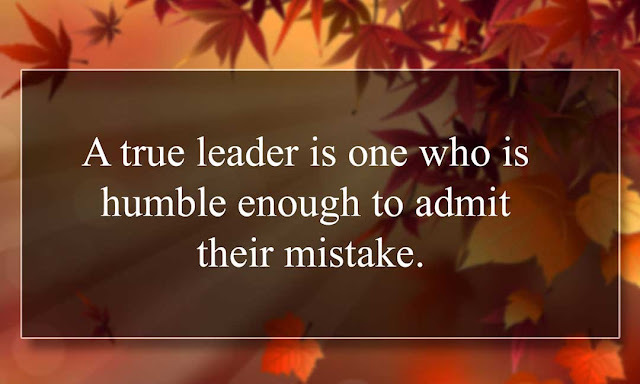 Are you making one of these common leadership mistakes? Simple tweaks can help you create a workplace with more engaged—and more effective—employees. Teams are such an integral part of our workplace today that you'd think business owners would have mastered the skills to help their teams function at their very best. Sadly, it seems we keep making the same leadership mistakes. Following are five you may very well be making with your employees—and the strategies you can use to fix them. It’s easy to get caught up in the “million things to do” and “I’m so busy” trap. Everyone is too busy these days. But when you’re leading a team, taking the time to check in with them is critically important. After all, they're the people who get things done in your company. Each task you continue to do yourself is a task no one else in your company knows how to do. Fix Suggestion: Consider setting up individual, once-a-week check-ins with each of your employees or, if your company is too big for that, with each of your direct reports. You may think you don’t have time for this, but trust me on this one, you probably do—and it will likely pay off big time for your company. If you dedicate 30 minutes every week to meet with each of your team members, you'll often be able to better guide them as needed and stay on top of what’s happening with them on the work front. It’s really easy to justify taking care of a problem yourself that should be delegated to an employee by saying, “It'll only take me a few minutes.” But if you have several of those a week, they can add up and eat up a chunk of your time that would be better spent in other ways. Plus, each task you continue to do yourself is a task no one else in your company knows how to do. Fix Suggestion: Figure out what tasks you're doing that can be delegated to someone else. You might think you know exactly what these tasks are—that you've been keeping a mental list—but that would be a mistaken assumption. A better way to find out what you should delegate is to keep track of your time for a week, then decide which of those tasks can be passed on to someone else. Once you’ve decided, you can jot down the process for the task, meet with the person you're delegating the task to, and do the hand off. It often helps to keep the communication lines open so the task gets done properly. People crave feedback about their work. If you’re the kind of leader who thinks that providing a paycheck for your team is feedback enough, then you may want to rethink your leadership strategy. Telling employees (publicly) when they’ve done a great job and (privately) when they need to do a bit of improving is key to keeping people engaged in their work. Fix Suggestion: Just say thank you. It’s amazing how this simple phrase can make someone’s day. Better yet, telling an employee what a good job they did on a project and identifying specific reasons why it was good will go a long way toward keeping them motivated. The same goes for helping them improve. Your employees want to do good work. Your employees usually want to do good work. Sharing pointers and “tips of the trade” can help them be better. Most of us worry so much about being a micromanager that we tend to skew in the other direction of being too “hands off.” But that’s not a good idea either. There’s a reason why there are leaders in an organization—to lead and manage the direction of the company. That requires you being present and knowing when it’s the right time to stay a bit closer to what your team is doing. Fix Suggestion: If you have seasoned employees, you have a pretty good idea of what their capabilities are. But if your team is new, understanding how they work will take some getting used to. Being “hands on” isn't a one-size-fits-all proposition. Take into consideration the task at hand and the skills of your employees when deciding how much managing you need to do. Each situation will be different. It’s tough for your team to help you hit your business targets if they don’t know what they look like. Your hopes, dreams and goals for making success happen shouldn’t just live inside your head. Fix Suggestion: Meet with your employees annually to establish goals for the year. One of the best ways to get them really engaged in the outcome is to have them be a part of the goal-setting process. Once your goals are set, don’t shove them into a folder and forget about them. Make sure you review them on a regular basis to assess your team’s progress and make adjustments as needed. Being an effective leader may not come naturally to everyone, but by putting a few key strategies into play, you can develop your skills and create a successful team.